Have you always wished to place an aquarium in your home but never got around to doing it because of the space constraints in your house? Well, here are some inspiring and inventing ways to make that wish of yours come true – you can now have an aquarium set up at home without compromising on style or space. A sink is a must-have in any house, so why not double its purpose but having it house some fishes too? Your morning wash-up will never be quite like any other with this fun sink aquarium; install one in the guest toilet and amaze all your guests at your next dinner party. The living area is a great place to have an aquarium set up and what better way to save space than by incorporating it together with your coffee table? It is a mash-up of style and functionality, and there is ample space for the fishes to swim in comfort. Usually, fishes found in the kitchen are the ones that are getting prepped to be turned into a tasty meal. Take that idea and switch it to suit a different purpose! Have a medium-sized aquarium set up in the kitchen and transform it into a usable tabletop for added prep space. To have a floor aquarium installed in your home, you will need to have your flooring elevated into a platform and the aquarium placed below it. 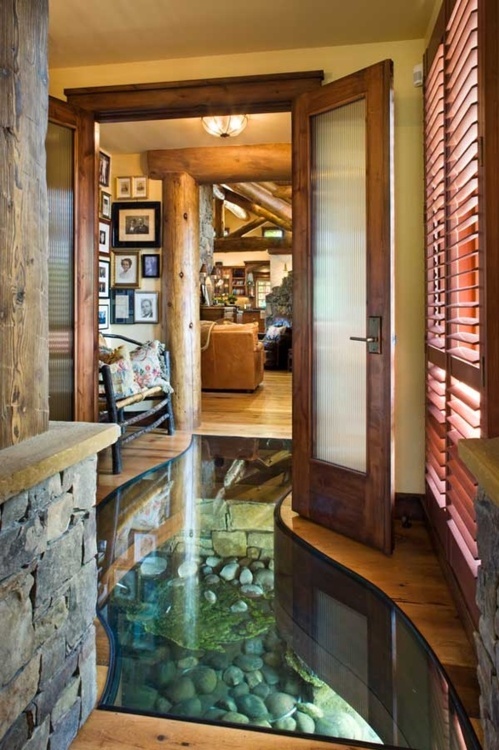 Create the illusion of walking on water with this fun way to utilize what little space you have at home. Some great locations in the home to set this up will be at the entrance, the hallway connecting the bedrooms or right smack in the middle of your living area. Divide a room with the use of a stunning aquarium that works to illuminate and bring some life to the area as well. The length of the aquarium can be customized to the room size and the top and bottom of the aquarium can be transformed into storage space in the form of drawers or cabinets. This idea can be used over a bar counter to double as an aquarium and hanging lights. Make use of the lighting installed in the aquarium to illuminate your counter for a gorgeous fixture that will match any décor and interiors. 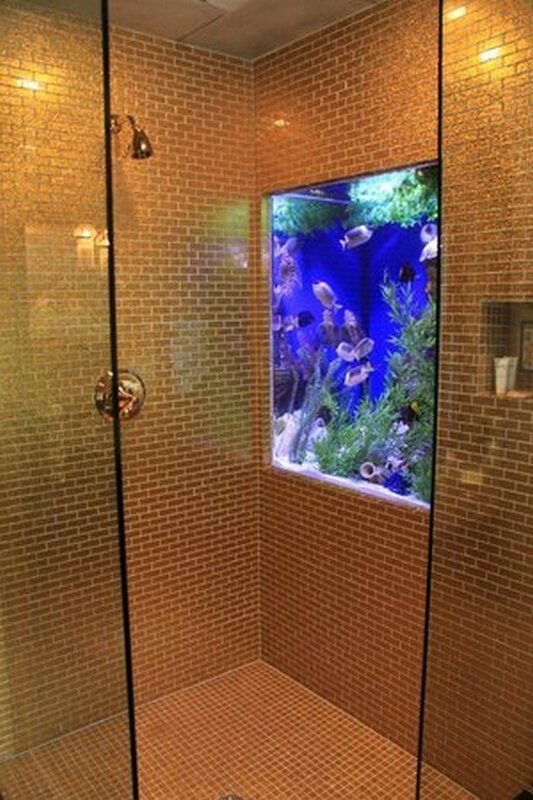 You might take longer in the shower from now on, but having an illuminating and beautiful aquarium set up in the shower area is a great way to keep occupied while washing the stresses of the day away. There are so many gorgeous fishes that you can place in your aquarium once you have it set up. Beautify your tank with colorful rocks and stones, gravel or sand, plants, artificial coral, seashells and ornaments such as replicas of caves, castles, or even this little skeletal man sitting on a toilet! Have your very own home aquarium set up right away! Talk to our team of professionals today.